Despite the Jerry Sandusky media storm and the unprecedented NCAA sanctions engulfing Penn State, the Nittany Lions are exceeding all expectations when it comes to commitment. Head coach Bill O’Brien continues to garner praise for his impressive 8-4 record and cemented his loyalty to the program by turning down the NFL. His success on the field is translating to success off the field as he is landing solid commitments for a team that is capped at 15 scholarship athletes per recruiting class due to continued sanctions. National Letter of Intent Day is fast approaching with February 6 being the first day a recruit can sign. As it stands, Penn State already signed five kids who enrolled early (and will not count toward the 2013 class) to include the addition of Adam Breneman, one of the nation’s top tight-ends. To date, the Nittany Lions have 12 verbal commits which is headlined by star quarterback Christian Hackenberg who has continuously vocalized his commitment to coach O’Brien and the Nittany Lions. 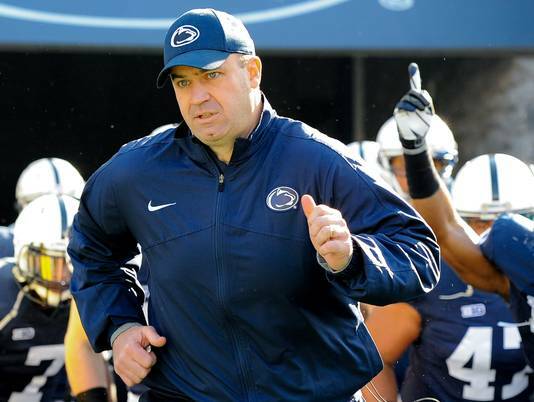 The Nittany Lions are headed in the right direction with O’Brien at the helm. After ending NFL rumors and furthering his commitment to the program, he and his staff are locking up star recruiters. It is anticipated Penn State will have a top-25 recruiting class when it’s all said and done.